You are here: Home / Philanthropy / Which nonprofits do you support? I started exploring the concept of philanthropy on this blog because I want to give back more. Being on the nonprofit side for many years, I’ve also felt a disconnect between the donor and the nonprofit. 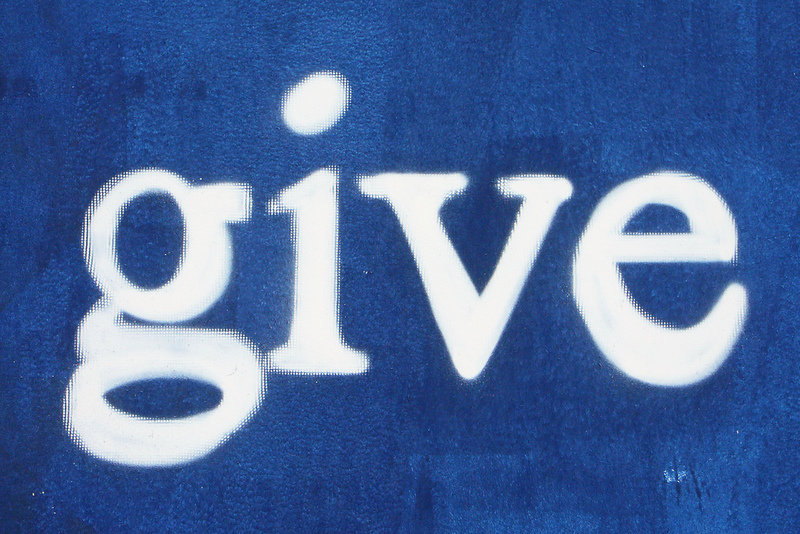 I’ve been searching for more meaningful ways to give. I find inspiration from the people and businesses I feature for Philanthropy Friday, and I’m learning more and more about my own giving habits through my writing. As I get deeper into my Giving Pledge and write more for the Global Team of 200, I realize I need a better way of keeping track of the nonprofits I support. Looking at the big picture helps me figure out where my heart and my money and my voice want to go. I can see where there are gaps, where I need to put forth more effort and where I might not want to revisit. Below you’ll see a list of nonprofits I have supported through donating money, working with in some capacity, or advocating via my blog. The neat thing about this list, which is hosted on SkinnyScoop, is that you can scroll through it and check off the organizations that you support and create your own list. You can even add organizations that you support to the list. It’s a big old curated list of awesome nonprofits to support. Will you help me in my exploration of philanthropy? I love this post! Trying to make my list now! Made my list! So many Non Profits I support didn’t even show up when I searched… didn’t have time to investigate further. I see two lists up there for you. Were you able to figure out how to add nonprofits? There’s an option to add the url of their website and it starts to autofill the info, which you can then edit. I can help if you’re still having trouble with it! Your list is awesome, Jen. I support dogs….for now. But hopefully more as time goes on! Many of the NPOs on this list I’ve supported in the past or have worked with in some way. It’s fun to look at them all at once. The Coastal Humane Society, where we got our oldest dog, is one of our favorites to support. I admit here that I haven’t been able to give as much as I have wanted in the past year: walking off that job cliff and figuring everything else out from there has made me very thankful for the kindness of strangers, for my own resources and as I work my way back up the ladder, I want to give more and more…and even start a campaign like you. 🙂 Keep on inspiring. I don’t think I ever feel like I give enough. That’s why I started doing my pledge and writing more about it. We’re a long ways away from the goal for giving my husband and I set, but we’ll get there. It’s a gradual process, I think. If we didn’t have goals what would we work for? Most of my support goes to the Fresh Air Fund and our local animal shelter, although I do donate to other places as well, I tend to support programs that benefit our local community if I can. Michelle recently posted..Why My Husband is a Super Dad! That’s awesome, Michelle. I think it’s so important to give locally. We tend to forget what’s in our own backyard. I’ve worked in the social services realm in Maine for several years. The need here is staggering. This is a great list! I like to support animal organizations and SOS Children’s Villages. Awesome, Tiffany. I’m not familiar with SOS Children’s Villages. I’ll have to look them up. Hi Jennifer! Your list is diverse. I usually respond to all the mailers for any cancer organization. Most of my finances and donations are local. I try to support the organization of which I’m a board member and serve as an advocate for people with disabilities, there’s a MOYO Foundation for inner city under privileged youth, and the local rescu mission are at the top of my list. That’s great, Joi. I think it’s most meaningful when you can be personally involved in some way. Being a board member and advocating is such important work! This means so much to me, Chris. Thanks! You know you inspire me as well. Believe me, I don’t give tons of money. I just do what I can. And I continue to build. That’s all we really can do. Unless we win the lottery. Then we could have some fun! What a great list. And I agree, so diverse! I have supported a lot of different non-profits over the years. I always try to find new ones each year that reflect what family members may be interested in. I use them as gifts at the holidays from my children to their grandparents and aunts/uncles. I also try to support local organizations (food pantry in particular this year) throughout the year. That’s an awesome strategy, Brenna. I think those thoughtful gifts really mean a lot to all parties!